Expedia can help you save loads with a Sabie travel package. 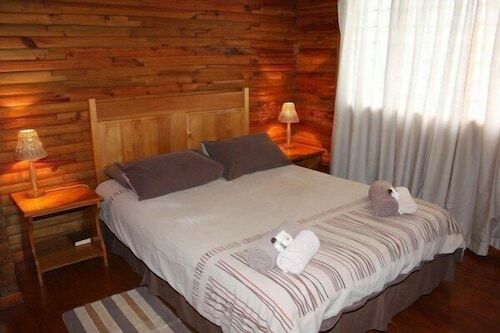 With all that extra money in the bank, you might even like to book a few more nights. Savvy travelers can earn savings of up to C$590* by securing a combined package deal on Expedia. You won't need to search through a bunch of different websites to secure your travel bookings. With more than 400 partner airlines and 321,000 properties worldwide, our expansive database has all that you need. You can delay your travel plans with us because we do not charge cancellation fees for almost all of our bookings. There's no limit to the number of wonderful things you can do when you visit a new place. So why not get your trip to Sabie off to a cracking start by checking out some of our ideas? After all – out there starts here! There's something mesmerizing about observing water pouring down the edge of a cliff. Try to position yourself as close as possible to Sabie Falls and feel its cool spray on your skin. There's a fabulous range of things to do in and around this destination. Many say that knowledge is power. With that in mind, you're sure to feel a bit more powerful when you're finished with Komatiland Forestry Museum. Still got some time on your hands? Getting out on the green is one of the best ways to enjoy the fresh air and have a real blast. Sharpen up your skills with a friendly round at Sabie Country Club. Haven't booked somewhere to stay yet? Sabie has only 7 properties, and the best deals for cheap vacations and luxury getaways get snatched up quickly. 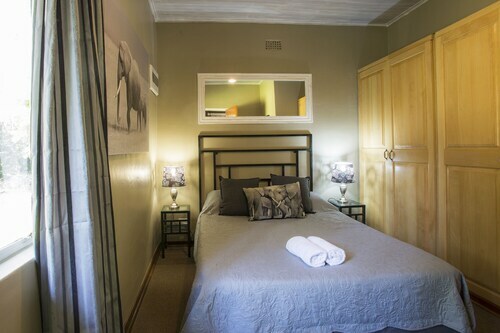 If you like gyms and valet parking as well as snuggly beds, why not inquire about the amenities at the Jock Sabie Lodge (Main And Glyinn Avenue) and the Ligna Lodge (255 Old Lydenburg Road)? Kruger Mpumalanga International Airport (MQP) is the entry point for most visitors heading on a trip to Sabie. It's situated 30 miles (48 km) from the downtown area. This family-friendly Sabie hotel is located in the business district, within 1 mi (2 km) of Komatiland Forestry Museum and Sabie Falls. Mac Mac Falls and Forest Falls Day Hiking Trail are also within 12 mi (20 km). 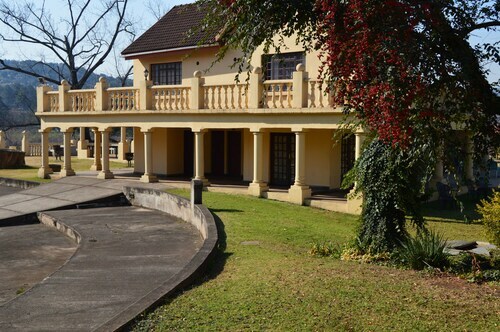 Situated in Sabie, this hotel is within 1 mi (2 km) of Komatiland Forestry Museum and Sabie Falls. Mac Mac Falls and Forest Falls Day Hiking Trail are also within 12 mi (20 km). 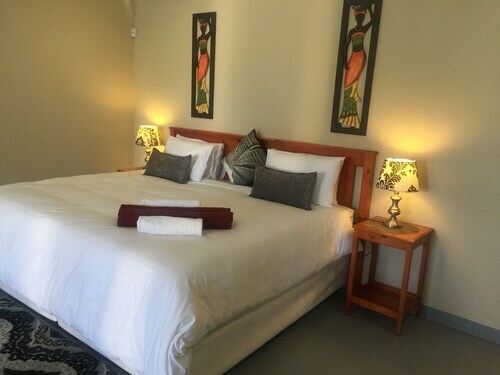 Situated on a river, this bed & breakfast is 2.1 mi (3.4 km) from Komatiland Forestry Museum and 3 mi (4.8 km) from Sabie Falls. Mac Mac Falls and Forest Falls Day Hiking Trail are also within 12 mi (20 km). 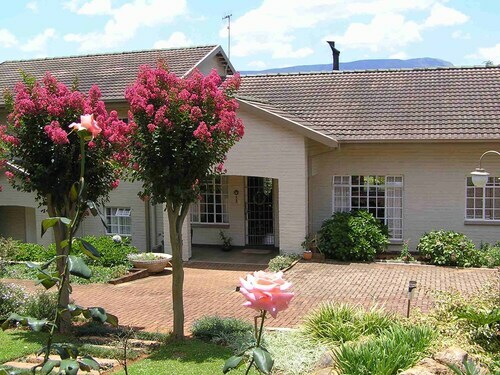 Situated in the suburbs, this cottage is within 1 mi (2 km) of Komatiland Forestry Museum and Sabie Falls. Mac Mac Falls and Forest Falls Day Hiking Trail are also within 12 mi (20 km). This family-friendly Sabie campground is located on a river, within 2 mi (3 km) of Komatiland Forestry Museum and Sabie Falls. Mac Mac Falls and Forest Falls Day Hiking Trail are also within 12 mi (20 km). 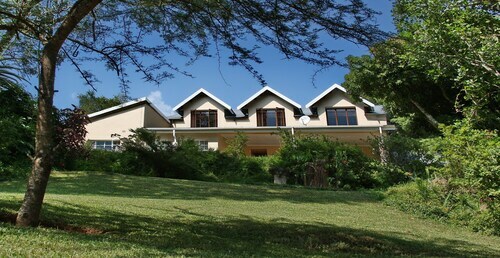 Situated in Sabie, this guesthouse is 0.4 mi (0.6 km) from Komatiland Forestry Museum and 1.3 mi (2 km) from Sabie Falls. Mac Mac Falls and Forest Falls Day Hiking Trail are also within 12 mi (20 km). Situated in the suburbs, this bed & breakfast is 1.9 mi (3.1 km) from Komatiland Forestry Museum and 2.8 mi (4.5 km) from Sabie Falls. Mac Mac Falls and Forest Falls Day Hiking Trail are also within 12 mi (20 km). 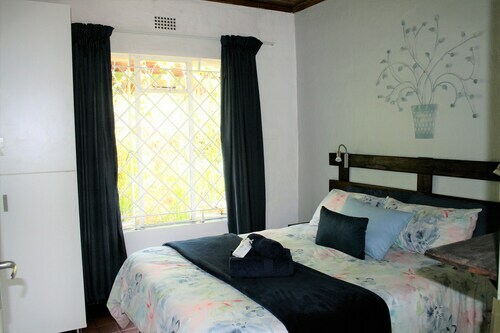 Situated in the mountains, this guesthouse is 3.2 mi (5.1 km) from Komatiland Forestry Museum and within 12 mi (20 km) of Sabie Falls and Mac Mac Falls. Forest Falls Day Hiking Trail and Long Tom Cannon are also within 20 mi (32 km). Thu., 20 Feb. - Thu., 27 Feb.